Ah, Nienke, this post couldn’t be more perfectly timed! 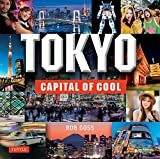 I’ll definitely try to visit most of these areas when we get to Tokyo – they all sound amazing (and so varied). Was great to see you before you leave, have an awesome adventure!!! You’ll love Japan! Hey Stef, yes Tokyo can be really surprising, it’s such a good mix of old and new, you can keep on exploring here and find new things every time. Hope you get to visit one day! I agree with Stef; had no clue Tokyo was so diverse. I imagine a hulking, urban, clean, fast moving center with huge buildings, heavy traffic and an orderly flow to it. I only spent 2 hours in Osaka but twas a layover at the airport. Cleanest bathrooms I’ve ever seen LOL. This place.. ugh, it makes me want to go back. I do love Omotesando District, just appreciating its architectural work is a masterpiece itself. Kudos to its developers and designers, and kudos to you for sharing this one! Totally agree! Wish I had more time there as well to wander around. Next time for sure! Hope you get the chance soon to go back!! Happy Travels! Perfect timing to stumble on your blog, I’m going to Tokyo with my daughter in a month, and have only planned Disney sea and universal studios. I’m staying in taito for 2 weeks,p.. is there anything there worth seeing? I’m sure you’ll have a wonderful time!! Taito is the area around the Asakusa/Ueno neighbourhoods, I would recommend checking my guides for those, there is plenty to see and do around here, from the massive park in Ueno to the old temples in Asakusa! The metros from there also easily take you into the city, and with 2 weeks, there is so much to see and do! Have a great time!